Four days of bluegrass on the beach returns to Puerto Morelos, Mexico, December 8th-12th, 2017. 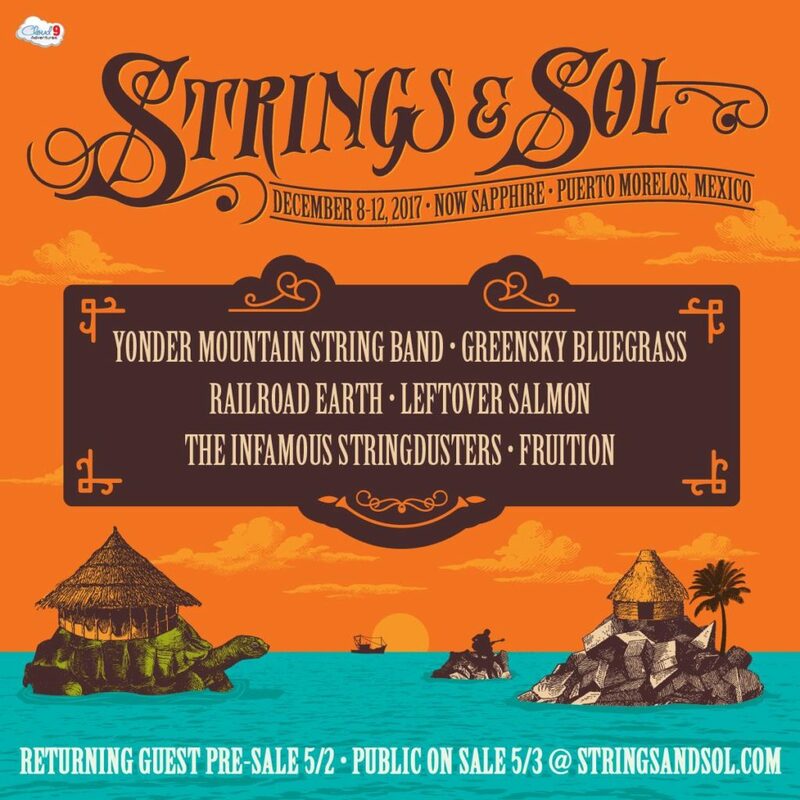 Strings & Sol, back for its fifth installment, brings the best in bluegrass to paradise near Cancun for an intimate tropical slice of string heaven right in time for that holiday vacation. Guests stay at either the Now Sapphire or Dreams Riviera Resorts and receive all-inclusive amenities for what is bound to be your favorite week if you have never been or another legendary Strings & Sol for S&S vets. There is a main stage stage on the beach, a poolside stage for afternoon fun days and a palapa for late night jams. Sounds like heaven to us! Grab your swimsuit and let us boogie on the beach!